A Program of Study and articulation agreements demonstrate the integral relationship between CTE Secondary Programs and their companion Post-secondary programs to assure student success. At least one POS should be available in every state approved CTE Program. There are many statewide articulation agreements available in Michigan from Davenport University, Ferris State University, Central Michigan University, and several other Post-secondary institutions. 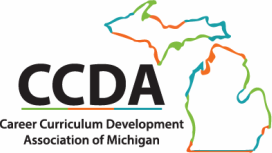 For access to official State-wide Articulation ﻿Links﻿ from the MDE Office of Career and Technical Education, click here. Upload at least one of the four required documents (program of study, or articulation agreement, or concurrent/dual enrollment, or direct credit) in the correct section of C16. You can upload more than one piece of evidence.You do not have to upload something in every section. Section 3: Concurrent Enrollment/Dual enrollment - upload proof of a partnership between the program and a Post-Secondary institution. Section 4: Direct Credit - upload proof of a direct credit partnership between the program and a Post-Secondary institution.